If you’re sick and tired of playing your PS4 in the living room, the solution is finally here. The man who brought you the Xbox One laptop has finally developed a very similar device designed for those of us who prefer gaming on the PS4. This so-called “PlayBook 4″ doesn’t come cheap, though. Converting your existing console into a laptop form factor will end up costing you around $1,100 plus shipping. Ed Zarick, the man behind some of the most well-known laptopified consoles, has done it again. This PS4-based laptop is modeled in 3D on a PC, and made with a combination of 3D-printing, laser cutting, and CNC milling. Each one is made to order, so you can choose exactly how it looks. The core unit color can be either black or white, and 3D-printed trim can be just about any color imaginable. Based on what Zarick has shown off, the PlayBook 4 looks just as polished as his previous efforts, so the aesthetically-minded among us will be very pleased. Along with the guts of a PS4 and the custom housing, this console laptop also uses a 22-inch 1080p display from Vizio. It’s not exactly the same experience as playing a game on your 65-inch TV at home, but with a pixel density of roughly 100 PPI, those games are going to look incredibly crisp. Back at Gamescom, Sony first teased the 2.0 update. Share Play and built-in YouTube export were the headlining features, but this release will offer much more than that. In a post on the PlayStation Blog, Sony’s Scott McCarthy outlines some of the new features that system software 2.0 brings to the PS4, and it looks very promising. Analyzing the iMac 5K Retina display: How do you squeeze 5K out of a last-gen GPU? Apple announced a new 27-inch iMac yesterday, and it packs a significant wallop on the display front. As we’ve already detailed, these new 5K displays are thinner, cheaper, draw less power thanks to a more-efficient LED backlight, and, perhaps most importantly, Apple is selling the whole 27-inch iMac system at a mind-blowing price of $2500. That’s the same price tag on Dell’s 5K monitor. In other words, either Apple is going to sell this display at an incredible loss, or Dell was making an incredible profit. The latter is distinctly more likely than the former — and despite Apple’s claim that it’s developed an entirely new TCON (Timing Controller), this is distinctly unlikely. The GPU powering the 27-inch iMac with Retina 5K display is the R9 M290X, with the R9 M295X offered as an optional upgrade. The R9 M295X hasn’t technically been announced, but rumors from months back suggested this would be a Tonga-class GPU. Regardless, the R9 M290X is the minimum spec — and that chip is a rebranded HD 8970M, which was a rebranded HD 7970M, which is functionally equivalent to a desktop Radeon HD 7870. In other words, the GPUs inside the new iMac are going to be limited to DisplayPort 1.2. That matters, because it takes roughly 17.2Gbps of bandwidth to drive a 4K @ 60 fps signal in a single stream (Single Stream Transport). To summarize the difference between SST and MST, an MST display creates two half-width tiles on the monitor and interleaves two different DisplayPort streams together to create a contiguous image, while an SST display functions like a standard monitor. MST and SST displays typically look identical in common applications, but some games support MST poorly, resulting in menus or functions crammed into half the monitor, or movies playing back in a squashed, half-width format. Critically, however, MST is the only way to drive a larger-than-4K panel. DisplayPort 1.2 has just enough bandwidth to support a single 4K @ 60 fps SST stream, but 5K is far too large for the standard. When Apple talks about a 40-gigabit TCON, it may have designed a single TCON to output to two DP 1.2 streams — that’s not technically impossible — but it’s not being done with a single stream within the DP 1.2 spec. Since Tonga doesn’t support HDMI 2.0 or DP 1.3 (which does support 5K SST), DP 1.2 is the only available standard to piggy-back. If Apple had somehow redesigned the TCON to compress a 5K stream into existing DisplayPort 1.2 bandwidth, it wouldn’t need a 40Gbps TCON in the first place. Anandtech notes that there’s another possibility — Apple may indeed have designed its own TCON, overclocked it, customized it for low overhead timing, and be pulling just enough bandwidth out of DP 1.2 to get it done. Here, the question of refresh rate becomes critical –5K @ 60Hz requires far more bandwidth than 5K @ 30Hz does. This kind of issue is common with MST — but did Apple overclock DP to hit higher bandwidths and avoid MST? Either way, Apple would have to overclock the DisplayPort signal by 50-100% to hit the bandwidth it needs for 5K on single stream transport. One major point that Apple left out of the discussion is whether or not these monitors are 30Hz or 60Hz. Hopefully 60Hz — I expect 60Hz — but 30Hz wouldn’t surprise me. The overwhelming majority of video in the US is shot at either 24p or 29.97p, both of which would be supported by a 5K @ 30Hz monitor. Scaling is another potential issue — but Apple has always done this one better than Microsoft and 5120×2880 has exactly four times the pixels of the old 2560×1440 monitors, which should make scaling up relatively simple. Finally, gaming — and here’s where the reality is going to bite. You aren’t going to be doing any gaming on a 5K display at anything like high detail levels. You may not even pull it off at low detail levels, and for a very simple reason: The R9 M290 is a midrange GPU from 2012 boxing way, way out of its weight class on this one. Despite the term, 5K is not 25% more pixels than 4K — it’s almost two times as many pixels. Not even dual GTX 980s in SLI could drive 60-fps high-detail gaming on that kind of rig. And that means there’s no chance any AMD mobile GPU — even if the R9 M295 is a Tonga implementation — is going to be able to do it either. The development team at Sledgehammer Games and publisher Activision are delivering an official gameplay launch trailer for their upcoming Call of Duty: Advanced Warfare, which is designed to show both newcomers and long-term fans the core features that are being added to the title this year. The weird element of the release is that the two companies are offering a launch-related trailer even if the game is only supposed to be offered on the PC, the PlayStation 4, the PS3, the Xbox One, the 360 and other platforms on November 4 all over the world. Those who are interested in getting access to the first-person shooter 24 hours earlier can pre-order the title and get the Day Zero Edition of Call of Duty: Advanced Warfare, which is unlocked on November 3 and also introduces double experience for a 24 hour period. The new title is designed to take gamers to the future, with the art of combat revolutionized by a range of technological innovations which also disrupt the normal government process. The new exo-skeleton element of the franchise is designed to make it easier for players to explore levels and gain positional advantages in multiplayer battles. 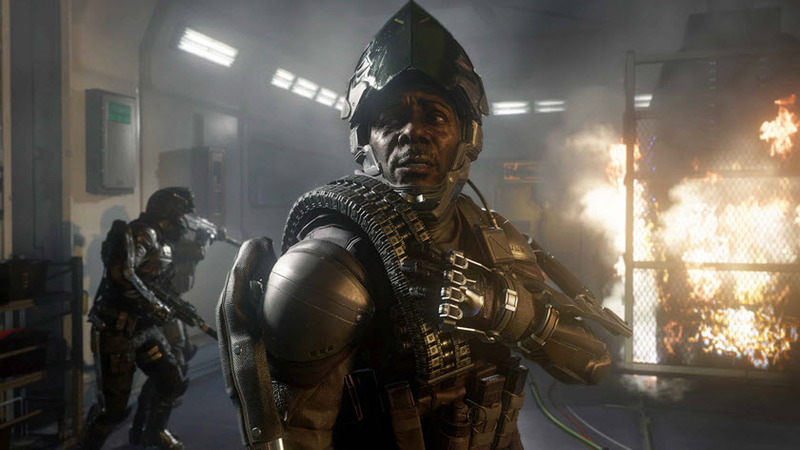 Call of Duty: Advanced Warfare also makes it easier to dodge and dash in order to avoid enemy attacks, and a new powerful melee attack has also been introduced. The use of the exo-skeleton also means that it’s easier than ever for players to customize their abilities and their weapons in order to suit their play style. Sledgehammer Games has promised that the new game modes, Momentum and Uplink, are designed to offer new experiences on the launch maps and that there are also more classic choices for long-term fans. More attention has also been lavished on the single-player campaign, which is longer and introduces more emotion-driven elements. Call of Duty: Advanced Warfare has been lagging behind previous releases in the series in terms of pre-orders and the delivery of a launch trailer so soon might be a sign that Activision is looking to get the community to engage more with the title. AMD slashes APU prices: Are they finally better value than a dual-core Intel Core i3? When AMD launched its Kaveri APU back in January we praised the innovative heterogeneous design and its improved CPU and GPU, but expressed reservations over the relatively high price. Today, AMD is cutting prices across its APU product lines — and tossing in free games as well. Buy an APU between now and the end of October, and the company will include a coupon for one of three games — Murdered: Soul Suspect, Thief, or Sniper Elite 3. All of these are Gaming Evolved titles, with both Thief and Sniper Elite 3 supporting the company’s Mantle API as well. AMD’s new prices. GPUs with an asterisk next to the core count are based on AMD’s older VLIW4 architecture. These new prices haven’t made it out to all the retailers yet, but the cuts are significant. AMD is slashing its top end prices by 15-25% — and in the process, it’s aligning itself to be more competitive against both Intel and its own FX family. Part of what made the A10-7850K a hard sell at $189 is that the chip was going toe-to-toe with AMD’s FX-8370 — an eight-core processor with a 4.3GHz top frequency compared to Kaveri’s 4GHz. Toss in superior multithreaded performance from the Core i3-4330 parked at $140, and the APU line was difficult to justify for the average buyer. With the A10-7850K now dropping to $143, it’s positioned squarely against the Core i3-4330, and while the Intel dual-core will still win that comparison on the CPU side, the A10-7850K’s GPU is far more powerful than anything Intel can summon. Consumers who want lower TDPs and are willing to pass on overclocking also have the option of the A10-7800, a 65W chip with the same GPU core, a very slightly slower CPU, and an even lower price. Combine these prices with the fact that AMD motherboards tend to be cheaper than their Intel counterparts (an Asus Z97-P motherboard at NewEgg is $120 while an Asus A88XM-Plus runs $88), and there’s a real argument to made for AMD. It’s particularly strong if you’re considering a Richland-class CPU + standalone GPU (the A10-6800K is a good contender for this spot). Conversely, if you want something low-power but with stronger gaming than an Intel standalone CPU, the A8-7600 is hard to beat at $93 and 45W. If you primarily care about strong single-threaded CPU performance, these new price points aren’t going to change your buying preferences, but AMD has just made it considerably easier to argue for an APU. There may come a point in the future where CPU and GPU cores can be equally weighted when choosing a chip, but for now there’s a distinct lack of consumer-level GPGPU applications. These cuts should stimulate adoption of AMD’s GCN-equipped, Kaveri-class APUs at all price points and thereby serve AMD’s own long-term interests admirably. AMD has also cut the price on its lowest-end chips, with the A4-5300 coming in at $31 and the A4-4000 at $27. While these are likely too underpowered for most users, if you need a*really*cheap dual-core system, the chips are there. Microsoft, the new owner of the Gears of War franchise rights, confirms that the next installment in the series that's set to debut on the Xbox One at some point in time is going back to the slightly darker roots of the series, doubling down on the core elements and what its initial experiences were all about. 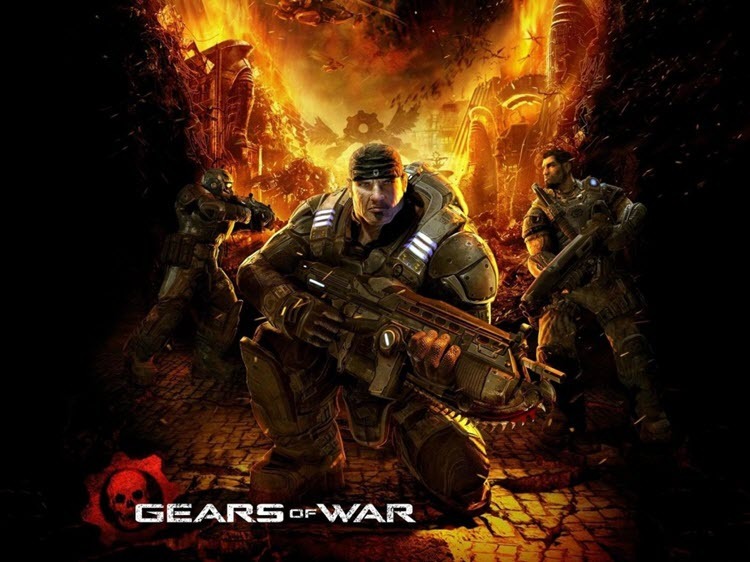 Gears of War appeared for the Xbox 360 back in 2006 and sparked a revolution in the third-person shooter genre, introducing elements such as cover-based shooting, not to mention one of the best exclusive experiences for the Xbox platform. Last year, Microsoft surprised quite a lot of people when it confirmed that it had acquired the rights to the Gears of War franchise from developer Epic Games, and that it was tasking the newly formed Black Tusk Studios with making a new title in the series for the Xbox One platform. Now, after hearing statements from the likes of Rod Fergusson, who led the production of the series at Epic Games and now is in charge of the new title at Black Tusk, Microsoft Xbox boss Phil Spencer shares his own thoughts on the new game. First up, he tells IGN that Gears of War is about quite a few big elements, such as the "epic scale, the settings that I was in, the massive destruction moments." What's more, he hopes that the new title is going to go back to the slightly darker roots of the franchise, such as in the first title, where "it was more what I would call soulful and maybe even a little dark." "I think [about] the story and the setting and what they’re going through as a band. Gears of War, the name really meant something to what that game was about. We need to get back to that," Spencer explains. Spencer also confirms that the new Gears of War for Xbox One will spark a fresh decade-long experience for fans. "I think we can continue, but we also have a new team. Rod’s there to really help with the continuity. We can really invest in this thing for the next decade, which is how I want to think about it." It's going to be interesting to see just how Gears of War is shaping up, although Microsoft might not share anything concrete until at least summer of 2015, probably at E3. Ubisoft has announced the minimum requirements for the PC version of Assassin’s Creed Unity — and, well, they’re a little bit puzzling to say the least. At a bare minimum, the new Assassin’s Creed game will require an Nvidia GTX 680 or AMD Radeon HD 7970, 6GB of RAM, and a Core i5-2500K or Phenom II X4 940 CPU. The recommended specs take that up to a Core i7-3770 CPU, 8GB of RAM, and a top-of-the-line GTX 780 or Radeon R9 290X. 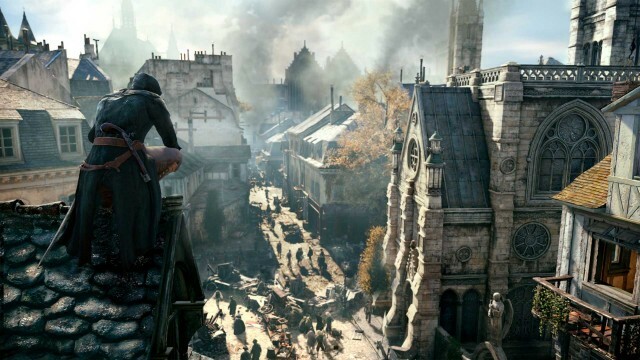 We know that the Xbox One and PS4 struggle with Assassin’s Creed Unity — they are both locked to*900p @ 30 fps — but even the*minimum*PC specs are about twice the*processing power present in the Xbox One. What on earth is going on? To round out the minimum PC specs for Assassin’s Creed Unity, it also requires 50GB of free space, and a 64-bit version of Windows 7 SP1. Your GTX 680 or HD 7970 needs 2GB of RAM, too. To put the hardware specs into perspective, the GTX 680 is Nvidia’s top-end single-GPU card from 2012 which retailed for $500. The same GK104 GPU then got reused in the GTX 770 in 2013 — which cost $400 at launch, but is available for around $300 today. It’s pretty much the same story for the Radeon HD 7970; two years ago, it was AMD’s top-end $500 card. PS4 leads Xbox One by at least 40% in global sales: Has Sony already won this console generation? Both the Xbox One and PS4 will celebrate their first birthday next month, and as they head into their second holiday season and first full fourth-quarter availability, it’s interesting to take a look at how the two consoles have performed so far. All evidence suggests a significant advantage for the PlayStation 4, with a sales gap of at least 40% between the two systems, and possibly as large as 100% (2:1 in favor of the PS4). That figure — a total sales gap of 40% between the two consoles — comes courtesy of Ars Technica, which performed some analysis based on reported sales of all consoles, previous sales figures, and remarks from executives from both Microsoft and Sony. The data, which tallies nicely with our own analysis of eight-gen console sales, represents the best-case scenario, using figures that maximize the Xbox One sales results and minimize the PS4′s performance. In reality, the PS4 could be running at 2:1 advantage or even more, and that’s before we head into the holiday season. Is this a problem? In the short term, no. The fact is, the Xbox 360 had an equally large lead over the PS3 for years. Sony’s console wasn’t just plagued by its high price, it was stuck with minimal attach rates and, initially, lower-quality titles. It was difficult to optimize for the PS3′s Cell processor, and a number of its first games struggled to match the Xbox 360′s quality, much less surpass it. Throw in Sony’s epic screwup around rumble (and the unmourned, incredibly-annoying Sixaxis controller), the initially uncertain value of its Blu-ray player, and a host of hubris and jaw-dropping statements, and the Xbox 360 was the odds-on favorite to win the console generation. In reality, the two systems ended up at rough parity with the PS3 actually outselling the Xbox 360 over the very long term. Video game developer Visceral Games and publisher Electronic Arts are confirming that they are now aiming to launch their already delayed Battlefield Hardline on March 17 of 2015, on the PC, the Xbox One from Microsoft, the PlayStation 4 from Sony and last-gen consoles. The two companies are not ready to offer more details about the core features of the game or how they have been transformed since it was first pushed back from its original date. Battlefield Hardline was supposed to arrive this fall in order to provide competition to Call of Duty: Advanced Warfare, but the beta test revealed some issues with the experience which prompted the development team and the publisher to announce a delay. Visceral Games says that since then it has made a number of changes to the mechanics, all of them based on the feedback that the community has offered. The single player of Battlefield Hardline will take gamers to Miami where they will take on the role of officer Nick Mendoza, who has just been promoted to detective and finds himself in the middle of a major drug operation. Alongside partner Khai Minh Dao, he needs to investigate a cartel and quickly finds how deep corruption can run and how it affects even those who say they serve the law. The developers are saying that the core structure of the campaign is inspired by both Hollywood movies and by recent top level television-based episodic dramas. 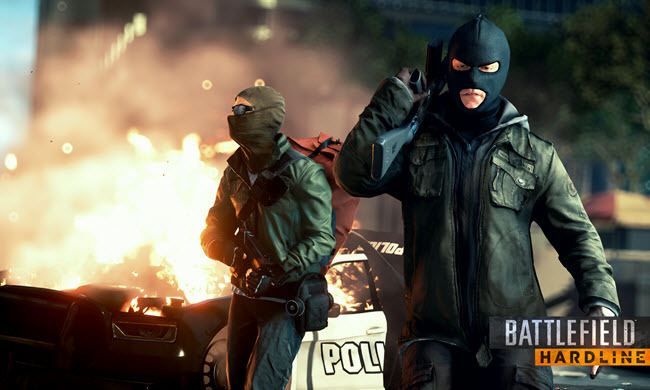 The Battlefield series is best known for the complex multiplayer experiences that it offers and Hardline is no different. Visceral Games states, "You’re on one side of the law or the other — a baton or bat, stun gun or rifle, armored police truck or powerful muscle cars. But either way, teamwork is going to be essential if you’re going to want to pull off that perfect heist or big time bust in this new take on Battlefield multiplayer." In the initial beta, gamers complained that the two sides were too similar and that some weapons were not balanced correctly. Since then, Visceral Games has made changes which will themselves be tested in another beta period which is set to take place during the winter of this year. It will be interesting to see how Battlefield Hardline will perform when it arrives on March 17 and what other titles might get launched at the same time to compete with it. Ubisoft believes that the upcoming Far Cry 4 stands outs from its predecessors by offering a much more complex story that's more about meaningful choices and less about the quest of the main protagonist against the world. Far Cry games have delivered some vastly different experiences over the years, starting with Far Cry 1, which focused on a mercenary that needs to stop mutants from escaping a tropical island. Far Cry 2 retained the mercenary focus but shifted the action to Africa, while Far Cry 3 opted to go the tropical island route while putting players in the shoes of a regular guy. 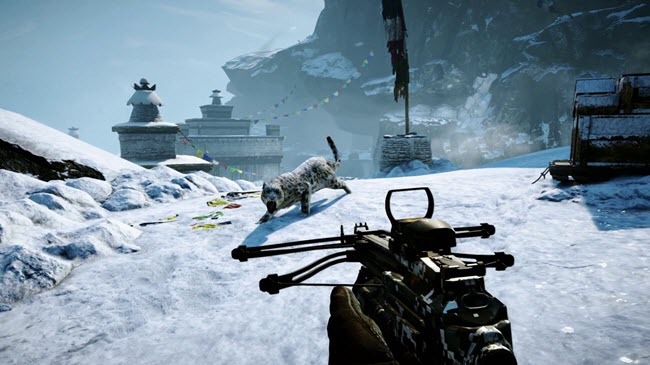 With Far Cry 4, things change altogether, as players take on the role of regular guy Ajay Ghale, who goes back to his native country of Kyrat, located in the Himalayas. Ubisoft now explains the differences between Far Cry 4 and the previous titles in the series in a more detailed way, thanks to Creative Director Alex Hutchinson, who has talked with IGN about the new title. According to the developer, the complex story and the choices that can be made throughout it distance Far Cry 4 from the rest of the series. However, some actual gameplay mechanics are retained, such as the crafting or skill systems from Far Cry 3, so fans shouldn't expect that big of a departure. "Far Cry 4 is much more focused on the player and allowing you to solve problems and make choices that feel right to you, so there is much less of a traditional hero’s journey. We’ve brought back the crafting and skill systems from Far Cry 3 with many improvements, and we’ve applied these to the story as well: Ajay is your introduction to the world, but the choices he makes are up to you as a player," he explains. Besides allowing players to go through the story, the game also offers more feedback to them, in the form of consequences for the actual choices, not to mention extra tools to really interact with the world of Kyrat. "Far Cry 4 is different to both," Hutchinson says in regards to Far Cry 2 and 3. "We are aiming to give the player more tools and toys and options than ever before, but to show them that these choices have consequences: Who do you choose to elect as leader of the Golden Path? How do you choose to conquer Pagan’s empire?" Far Cry 4 debuts on November 18 in North America and November 20 in Europe and the rest of the world for the PC, PS3, PS4, Xbox 360, and Xbox One platforms.